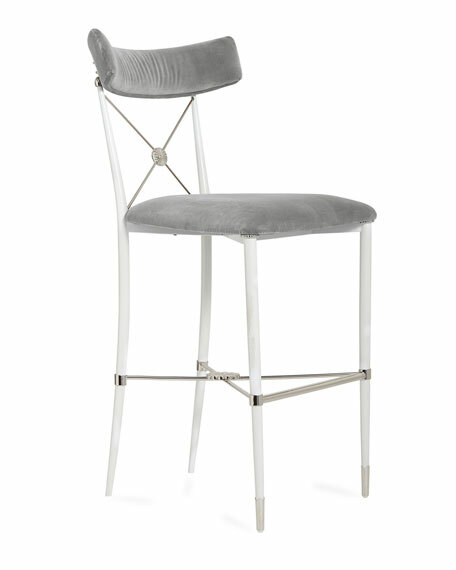 Our modern homage to an Empire-style dining chair, perfect for your kitchen counter. Stool balances Parisian bistro with bar seatingand ultra comfort. 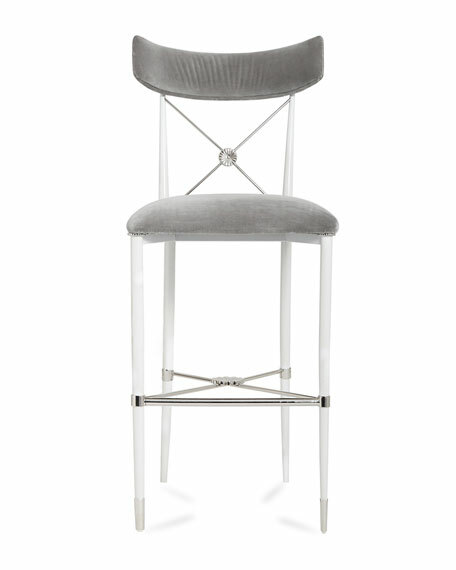 Counter stool with cotton seat. White frame and nickel finished accents. 18"W x 21"D x 39"T.